WDARC was established in 1995 as a local arm of the Utah Amateur Radio Club. Its mission is to provide education and foster a mentoring atmosphere for ham radio. The club boasts nearly 50 members — and each has their own story. This article originally appeared in the November 10, 2011 edition of the Tooele Transcript Bulletin. Amateur radio operator Ray Riding twists the tuning dial of the Tooele County Emergency Operations Center’s high frequency radio, catching sporadic strings of human voice as he scans the 20 meter band. The voices phase in and out of the white noise like mini movements in an ethereal symphony. It’s music to the radio lover’s ears. Sitting next to Riding, fellow amateur operator Richard Shaw keys a repeater code into another radio while another ham, Doug Higley, translates their radio lingo into plain English. The three men are members of the West Desert Amateur Radio Club (WDARC), which promotes amateur — or “ham” — radio in Tooele County. Amateur radio traces its roots back to the early 20th century when private citizens began experimenting with radio transmission and wireless messaging using Morse code. The pastime continues today as both a hobby and a bastion of volunteer and emergency communication. According to Shaw, WDARC’s current president, there are more than 260 licensed amateur radio operators in Tooele County. Exactly how the craft became known as “ham radio” is uncertain. “Ham” could be an abbreviation of “amateur,” but most hams agree that the moniker originated as a taunt from military professionals. Beginning with the Radio Act of 1912, ham radio operation was licensed by the Federal Communications Commission. Currently there are three license classes: general, technician, and amateur extra. Ham radio is strictly non-commercial. Aside from emergency communications, ham transmissions consist mostly of short contacts and “rag chewing,” the ham term for casual conversation. Many hams also volunteer to provide communication infrastructure to races and other public events. Shaw fell in love with radio at age 10 when he and his older brother received crystal radio kits for Christmas. A crystal receiver is a simple radio built primarily of wire and a crystalline mineral, powered only by radio waves in the air. Transmissions are heard through a single earbud. Shaw and his brother built their kits that very day and spent many hours listening to KDYL and KSL — the only stations they could pick up reliably from their home in Murray. Riding (call sign AC7RR) has always been fascinated by radio, but his interest in emergency communications stems from a 1978 incident when he was the first responder to an auto-pedestrian accident on SR-89 in Weber County. Radio was the only form of mobile communication back then, and Riding used his Citizens’ Band radio to call for help. “That’s why I always want to have a radio with me,” he said. Riding is vice president of WDARC and currently serves as the Amateur Radio Emergency Service (ARES) Emergency Coordinator for Tooele County. In the event that established government emergency communications fail, Riding will spearhead backup amateur network to temporarily bridge the gap. Ham operators also form the backbone of The Church of Jesus Christ of Latter-day Saints’ emergency communications network. Volunteer ham operators representing each ward and stake are on constant standby to facilitate communications and welfare supply delivery during disasters. During a major 1994 wildfire in Skull Valley, Shaw participated in an LDS Church-led operation to establish a communication network and full-service shelter. Though the shelter was ultimately not used, Shaw considers it a testament to the effectiveness of ham radio. Beyond emergency communications, ham radio is the model of technical experimentation and do-it-yourself electronics. Hams have made considerable contributions to the fields of science, engineering and aerospace. Numerous innovators in the technology and media industries got their start in ham radio, and most astronauts are licensed. Hams were using satellites to boost their communication as early as 1961. In the 1970s they pioneered packet radio, a precursor to modern computer networks and the Internet. In turn, ham radio incorporates modern Internet technology to extend its range and capabilities. The Internet Radio Linking Project (IRLP) enables the linking of stations worldwide via Voice over IP. Higley (KD7FXS) believes that IRLP is a key to sustained enthusiasm for ham radio. “Basically that gives you worldwide communication — and you have access to that at entry level,” he said. Back at the EOC, a ham in Bountiful with call sign KF7MTE responds to Shaw’s CQ call and spends several minutes chatting about equipment and getting started with ham radio. This kind of talk is typical, as are conversations about weather, traffic, news relevant to ham radio and other pleasantries. Shaw said getting licensed can be quick and relatively inexpensive. WDARC meets monthly at the EOC and sponsors two training courses per year for newcomers. The club encourages anybody interested to contact them about training. Potential amateur radio operators must pass a multiple choice exam to prove their knowledge of radio operation and FCC regulations. There is no age limit. According to Shaw, the youngest ham operator in Tooele County is 14 years old. Equipment costs vary according to need and interest. Listening to the WDARC guys, it’s difficult to identify a single source of their passion. Many are attracted to the emergency service aspects of ham radio. Others are drawn by a sense of community. Some crave long-distance contact and competition. 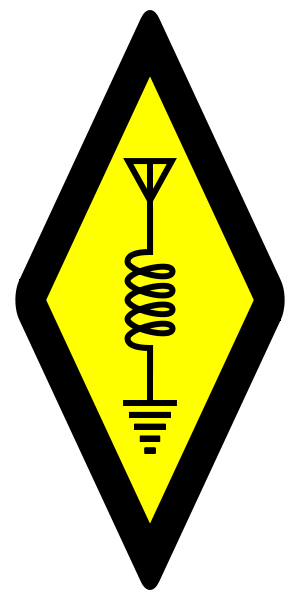 Riding described ham radio as a hobby with many sub-hobbies, offering the example of building “homebrewed” radios. “You’ll have extremely low power operations where they’ll build a transmitter out of an Altoids can or a tuna can,” he said. Underlying all of these interests seems to be a wide-eyed fascination with the radio phenomenon and a desire to harness its potential. The following article originally appeared in the March 26, 2009 edition of the Tooele Transcript Bulletin. Of course my promise of never being lost again was a steep one, completely dependent upon the complex little device’s ability to process precise signals from outer space and my ability to master its ins and outs. It meant that even though I’m a man, I might need to at least skim the user manual before I take the kids bushwhacking in the High Uintas Wilderness Area. Aside from wishing my new toy—err, survival device— didn’t look so much like a Happy Meal prize, my first thought when I opened the box was “The 90’s just called. They’d like their serial cable back.” If I was going to assuage my tech anxiety, I would need to give this baby a test run, ASAP. Fortunately I’ve had some exposure to geocaching, the outdoor treasure hunting game where players seek out hidden “caches” using GPS technology. The activity is especially popular in Utah, and hundreds of caches are hidden across Tooele County. I used to hunt caches with my friend Tyler, but more often than not, his brother’s old receiver led us on maddening wild goose chases. Just in case my past frustration was due more to user error than device flaw, I selected a few kid-friendly “drive-by” caches in the Stansbury foothills. The “Pirate Gold”, “Willow516”, and “Little Dam” caches along the Old Mormon Trail would be easily locatable and exciting enough to whet the kids’ appetite for the sport. Geocaches vary in type and location difficulty, but a traditional cache consists of a watertight container, a log book, and a collection of dollar store type “prizes.” Some contain useful items like batteries or printed maps. Geocachers may take items from a cache if they leave something of similar or greater value. Thoughtful cache hiders clearly label their container a geocache and include a note explaining the game for people who might accidentally stumble upon it. After secreting the cache, its owner uses a GPS receiver to log a set of coordinates called a waypoint, which marks its physical location on Earth. The owner then publishes the waypoint, along with cache name and description, to one of several geocaching websites. Other geocachers find the cache by plugging the waypoint into their GPS receivers and mapping to it. The Global Positioning System is a constellation of 27 dedicated satellites that circle the globe at 12,000 mph on six orbital planes. Each satellite broadcasts precise microwave time signals at the speed of light. A GPS receiver uses the combined signals of four satellites to calculate its accurate position on earth, and thus it’s position relative to a waypoint. GPS was made available for civilian use in 1996, but the use a receiver for precise navigation was hindered by a feature called Selective Availability, which purposely scrambled publicly available signals. SA was turned off on May 2, 2000 by Presidential directive, and enthusiast Dave Ulmer placed the first documented geocache the very next day. Its contents included a can of beans, mapping software, five dollars, and a slingshot. Since then, an estimated 823,000 caches have been placed worldwide. As a father-son treasure hunting team, we sought Pirate Gold as our first cache, both because 3 year old Coulter is obsessed with pirates and because previous discoverers left enough online hints to make missing it nearly impossible. As Cracker-Jack as it looks on the outside, my new receiver worked like a charm. The boys soon cracked open a wooden chest full of Yu-Gi-Oh cards and plastic booty. 7 year old Bridger took one card and Coulter took a plastic coin. We left some army guys before returning the chest to its metal hinged vault. The next cache had been placed by a Grantsville Boy Scout troop. My receiver led us to a juniper grove where Bridger spotted the converted ammo can. “Aren’t you glad you’re a pirate?” I asked him, referring to the time a Jack Sparrow face actor at Disney World made him an “official” member of his crew. Bridger had taken the ordeal seriously and has tried to renounce his piracy ever since. Bridger furrowed his brow, torn between his moral opposition to piracy and the advanced treasure hunting skills it had apparently endowed him with. Weston traded some army guys for a plastic fish from the cache before hiding it again. After locating the last cache, we drove to Grantsville Reservoir to build and hide our own. The boys had meticulously chosen items at the Family Dollar in Grantsville—a plastic gun set, silly putty, and some pens. I prepared the log book and added the remaining the army guys (because what’s a cache without army guys?). Then we sealed it up and hid it in a spot the boys had chosen. They called the cache “Beach Reach” after watching the windsurfers on the lake. “Dad, can we do this every day?” asked Weston as we drove back home. “Whenever we want,” I responded contentedly, my little GPS receiver still in hand– still tracking speed and distance from the Beach Reach waypoint just because. Never getting lost again is going to be a whole lot of fun. In case you were wondering, the “cheap” GPS receiver I bought was the Garmin eTrex H. Looks like a toy, works like a charm. 1990’s serial port included, $40 1990’s serial cable not.